The Age of the Internet has brought an explosion of do-it-yourself broadcasters, each putting out high quality audio and video podcasts that are so professional you'd never even know they were being produced in someone's home! Now, you too can be seen and heard worldwide! Do you think that creating your very own audio or video podcast is too hard, too complex, or too technical? Not if you use WebPod Studio! WebPod Studio is the world's leading podcasting software, designed to let both novices and professionals alike create high-quality audio and video podcasts with ease. With WebPod Studio, you can upload your podcasts to an existing server for hosting and archiving, or you can burn them directly to CD and DVD. 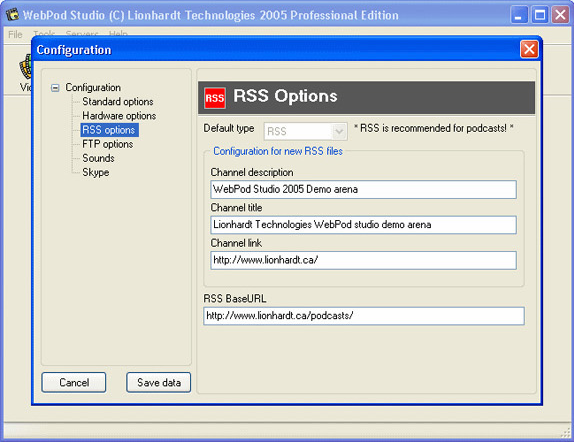 A wealth of output options lets you take full advantage of transcripts, RSS feeds, and integration with blogs. 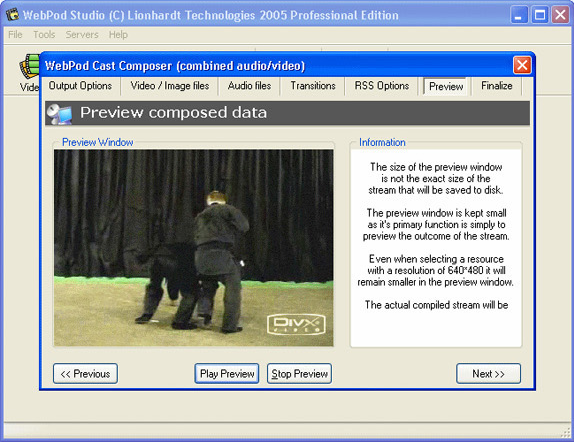 Use a teleprompter, create video podcasts from PowerPoint files, capture screens, and more! Even if you are completely new to the world of podcasting, WebPod Studio will make it easy for you to get started. Simply select what you want to do in incremental steps, from a pulldown menu selection, a checked box, or a radio button. Many options are already selected for you based on auto-detection of hardware and anticipated needs. Wizards assist you every step of the way, from recording all the way to publication of your finished podcast on the web! 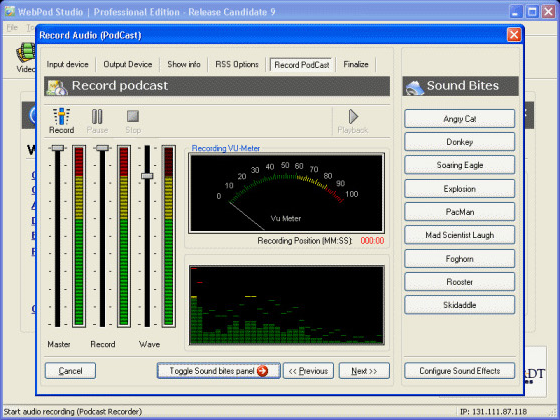 Create your own audio and video podcasts quickly and easily! Upload your podcasts to a server or burn them to optical media. Get started quickly with virtually no learning curve! Upgrades to future versions of the software will be free up to the next major version. For versions after that, upgrades will require additional payment, which will not be discounted. Just Wondering What version is the Bits du Jour discount for? Also, your website says the Standard version costs more than the Professional (http://www.lionhardt.ca/purchase.asp). 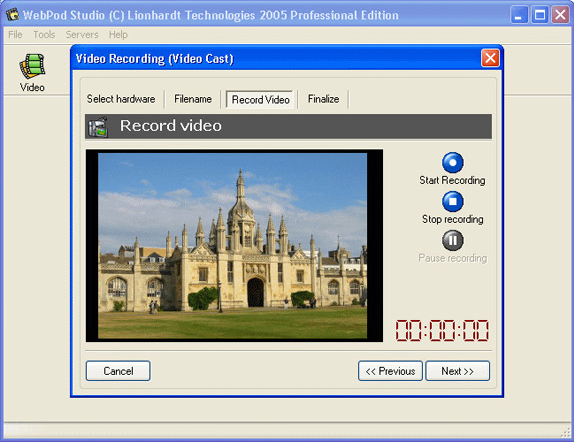 Roger Thomasson Today's promotion applies to both the professional and enterprise versions of WebPod Studio. Click the "Buy Now" button to see the options. Apologies, we have no record of ever receiving you comment, and certainly never deleted it.